Perhaps you have already heard the phrase “Cutting the Cord.” This refers to the increasing number of us who are leaving our cable companies behind with all their equipment, high bills and poor service. 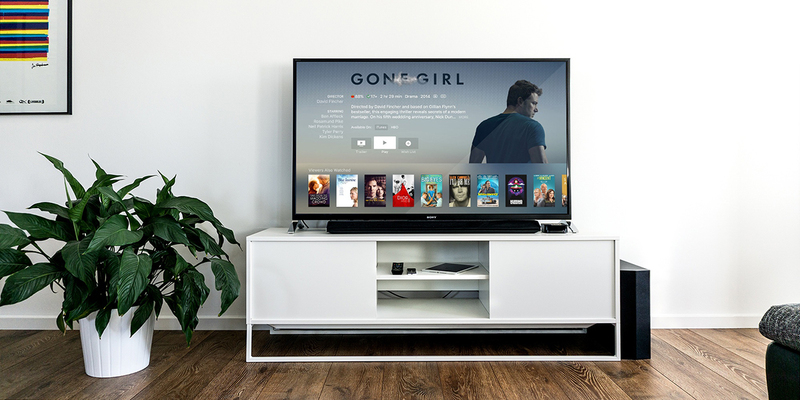 Streaming means the movies and TV shows you want to watch are stored on someone else’s computers like servers at Netflix or DirecTV Now. You watch them by connecting to those computers over the Internet. You can stream on any device–a desktop computer, smart phone, tablet or Smart TV. Remember, when you are streaming, you are using data. The data is the TV shows or movies traveling across the Internet from the provider’s servers to your device. For most home Internet connections, this is not an issue, however, for mobile devices, streaming will burn through your data plan rather quickly. With mobile devices, it is best to stream when you are connected to Wi-Fi to prevent running up your data plan. Streaming does not mean you have to give up that big TV in your living room. Smart TVs can connect to the Internet allowing you to stream video. Don’t have a Smart TV? That is okay. Plenty of choices exist for devices that can turn your TV into a Smart TV. Of these devices, Apple TV is the most accessible. Using an Apple TV is a lot like using an iPhone or iPad. With the included remote, you can control the Apple TV with gestures on the touchpad or talk to SIRI with the built-in microphone just as you would with your iPhone or iPad. You have lots of options for programming. Some are free like YouTube. Some you will have to pay for like Netflix and DirecTv Now. For a relatively small monthly fee, Netflix gives you tons of TV shows, movies and even some original content. One thing Netflix has done that I love is to offer a wide range of audio described content. The audio description on their original shows is probably the best I have heard. One drawback for Netflix — you have to wait until the end of the season to watch the current year’s TV shows. DirecTv Now from AT&T provides 100 channels of live and local programming. CBS and WGN are the only major network channels not included. Many on demand movies and TV shows are also available. A DVR service is coming to DirecTv Now sometime this year. You can even add HBO or Cinemax for an additional fee. The Direct TVs apps for the iPhone and Apple TV are accessible with a couple of small glitches. The biggest complaint among first-time users of these apps who are using VoiceOver is that the app mutes the volume on start. Here is an easy solution to fix this problem: In Settings, simply uncheck the mute on the startup option. Streaming is a fast growing trend and more and more content is becoming available every day. Be aware, audio description is still lagging for most streaming content. This is why I feel Netflix, with all their audio-described content, is so great. David is the manager of adaptive technology at Second Sense.